Learn about Mary Thé approach to Beauty with Integrity. John Gray, bestselling author of Men from Mars and Women from Venus visits Mary Thé for informative meeting. John Gray - the best selling relationship author of all time– introduces his most exciting and groundbreaking book yet, Venus on Fire, Mars on Ice: Hormonal Balance - the Key to Life, Love & Energy to a special audience at Mary Thé Skin Care. While visiting, he enjoyed some excerise tips from Hwie Tjong, Mary's 90 year-old father (see below). Mary Thé on The View from the Bay Mary Thé regularly contributes health and beauty tips on The View from the Bay. Celebrate Spring with these great tips! Keep your skin healthy while traveling Tips for keeping your skin healthy over the winter with these nutrients. Hwie Tjong, Mary's father shares a spirited work out that he has been practicing for years, keeping him energetic and flexible at 90! Allured Publishing corporation and Skin, Inc. magazine appointed Mary Thé to serve a second term on their Advisory Board for the 2007 and 2008 Face & Body Spa & Healthy Aging Conference and Exhibition. 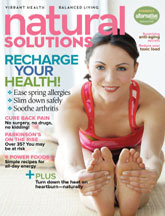 The May 2008 issue of Natural Solutions magazine quotes Mary in an article titled World Beauty: Time-tested skin secrets from Fiji to France. "Women in every society have been valued by their beauty, whether it's for their hair, their skin, or their figure," says Mary Thé, owner of Mary the skincare in San Fransisco. "But what I love about indigenous beauty secrets is that they tend to honor the body as a whole. To glow and look confident is the goal, rather than our culture's obsession with wanting instant results." Mary Thé Is Now A Featured Columnist For Chinese Magazines! Mary Thé is a regular contributor to several Chinese magazines—Bazaar, Cosmopolitan, and Shanghai Talk—and a featured columnist for XUAN SE, the first Japanese-style fashion, beauty and lifestyle magazine in China, launched by HFM (the world's largest consumer magazine publisher). To see Mary's articles both in Chinese and English, click here. Mary Thé recently appeared on the Channel 5 News in San Francisco. She was interviewed about current trends and concerns related to skin-bleaching. To see a video of the segment, click here.